A couple of little sale successes! I am proud to report that sales haven't got me too carried away!! I only made a few little purchases, just a couple of things that caught my eye and I could justify! First up is this peasant blouse from Mango which has filled a little wardrobe hole and satisfied a yearning nicely! This top is already doing well on the pay per wear as you will see! 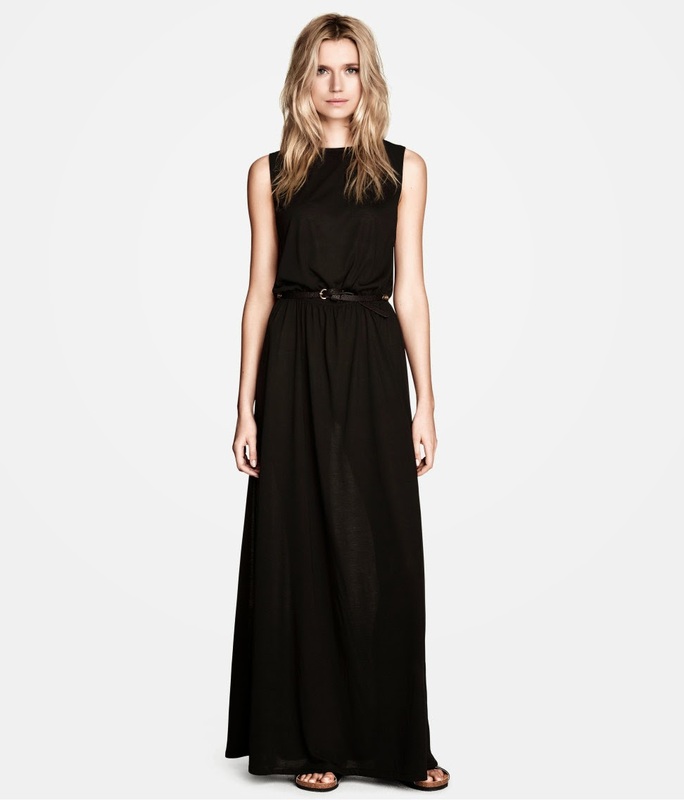 Another marvellous bargain that just happened to stumble across whilst hot-footing it through H&M was this classic black maxi. which was marked down to 7GBP!! I must have had the shopping fairy smiling down on me though as I think it was meant to be full price but even at £12.99 it is still a real steal!! So here's another item I never thought I would see myself buying or wearing!! I don't think I've ever possessed a hoody but since my hubby is intent on camping at some point this year I thought this could end up being an excellent investment for those chilly mornings or evenings......would also do for the park life I will no doubt be participating in over the school holidays!! Another fantastic Primarni bargain at just 3 quid! I've convinced myself it has a whiff of Jack Wills about it! Although these were not in the sale, these New Look silver sliders are such a bargain and I would say one of my best purchases of the season!! I have worn them so much already......you may have noticed that I have built many of my outfits around these sliders lately!! So that's all my purchases revealed for the last couple of weeks! My goodness.....I have been pretty frugal for me! I am giving myself a pat on the back for spending less than £25 in the sales at least!! Anyone else had any really good luck in the sales or found anything that has been genuinely a great buy?! The usual round-up of my outfits for the past week! With this lovely weather the shorts have come out to play! Yay! So there we have it! I have already worn all of my sale purchases so I deem them great successes! Don't forget to keep me posted on any of your sale news!! As always, I love reading your comments and responding to them! Wow you've been good Michelle! Love your new Mango top, I was tempted by this too but for once resisted!! As always you're looking gorgeous in all your daily outfits. Oh Michelle - separated at birth or what! 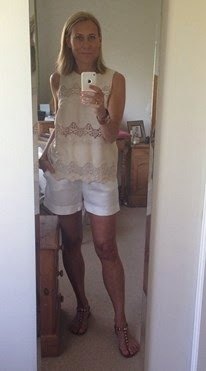 I bought that Mango top too but I returned it as I couldn't justify another pretty cream top but it's a fab bargain. Why I returned it when it only cost me £13 I don't know as it's just one of those little bung it on tops which always looks like you've made a bit of an effort with no effort, I don't know. I blame it on putting my pennies to all my recent Madewell acquisitions! And you really do rock that boiler suit well! We are definitely telepathic Sue!! Lol! 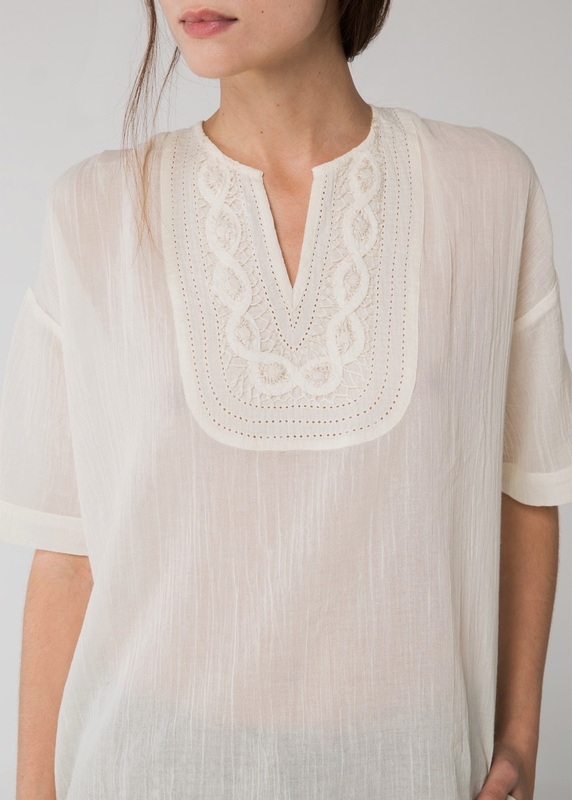 I wanted a peasant style top but having already bought and returned a dress from Mango with as my husband described 'bits hanging off' (meaning he didn't like the tassels) this little top was the style but with out the dangly bits!! Tis the perfect thing to chuck on with shorts and jeans!! Lovely sales purchases, particularly the H&M dress which looks so much more expensive. Must get those new look sliders! Wow, you've done really well. Very impressive. But then, as my mother used to say 'it's not the clothes - it's the hanger'!!! and you really do manage to make everything look incredibly stylish! The H and M maxi dress is my favourite look. It looks fantastic. So well styled and and and an absolute bargain. lovely outfits, I should be doing something useful, but instead I am enjoying looking at what other people are wearing, is it just me that finds it a bit strange when I try to analyse it?! Well done, Michelle! Some great purchases, especially love the maxi dress (it looks a lot more expensive than it actually was) and all the white lace tops, perfect for summer! Love love love it all - I cannot type anymore because it's all so amazing. The mango cream blouse, the all white shorts number, the silver sliders - YOU - ALL OF IT! If only I had a beach party to go to!